GLORY Kickboxing makes its return to the United Kingdom today as it holds GLORY 54 at the Genting Arena in Birmingham, England. Two title fights headline the card. In the main event, GLORY Heavyweight Champion Rico Verhoeven looks for his seventh consecutive successful title defense, as he takes on Mladen Brestovac. In the co-main event, Harut Grigorian makes his first defense as GLORY welterweight champion, as he faces Alim Nabiyev. 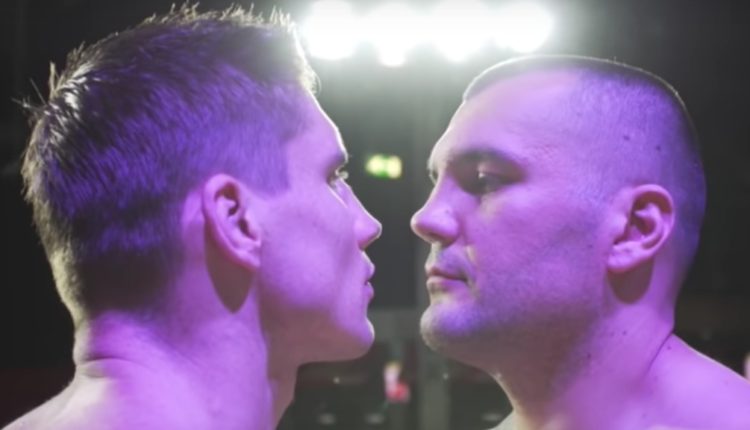 Verhoeven and Brestovac have faced each other once before, at GLORY 28 in March 2016. Verhoeven won and retained the heavyweight title with a unanimous decision. One of the greatest kickboxers today, and arguably the face of GLORY, Verhoeven comes into today’s title defense riding a nine-fight win streak, which includes his first bout with Brestovac. Verhoeven most recently topped Jamal Ben Saddik with a fifth-round TKO at GLORY Redemption back in December. Brestovac has won three straight, with his most recent bout being a first-round knockout of Hesdy Gerges at GLORY 45 back in September. Grigorian won the GLORY Welterweight Contender Tournament back in August at GLORY 44, defeating Karim Benmansour and Antoine Pinto on the same night to earn a future title shot. That shot came at GLORY 50 back in February, which saw Grigorian defeat Murthel Groenhart via ref stoppage in just over two minutes to capture the title. Grigorian’s challenger for tonight, the 23-year-old Nabiyev, is currently on a six-fight win streak and is 3-0 in GLORY. After winning his promotional debut back at GLORY 47, Nabiyev upset a pair of former champions in Nieky Holzken at GLORY 49 and Cedric Doumbe at GLORY 51. The action for GLORY 54 gets underway with the GLORY 54 SuperFight Series, which is headlined by a light heavyweight bout between Danyo Ilunga and Fraser Weightman. It will also feature a four-man welterweight contender tournament featuring Jamie Bates, Tommy King, Mark Timms and Dawid Blaszke.